…….. not just for Christmas! 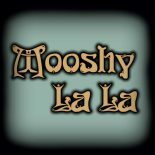 Here at Mooshy La La we have a wonderful collection of sequin & beaded vintage garments all year around. You know when you have that plainest ‘little black dress’ you’ve had for ages, that just fits you perfectly but you need to add something a bit more special …. a sequined or beaded jacket over can be a life saver! Going out for dinner when you really want to just wear your jeans and blazer, but you feel you always wear the same look …. adding a sheer shimmery vest under your blazer can make you feel a million Euro! Once again the prestige fashion houses chose to make sequins and beaded embellishment a big feature in their Cruise/Resort collections for S/S 2018. As always, the festival season will forever be THE time to be adorned in the most spectacular and outrageous sparkling creations – What better way to shine out from the crowd? This entry was posted on January 14, 2018 by mooshylala in 70's Boho, Age & Style, Christmas, My vintage life!, Vintage, Whats happening at Mooshy La La and tagged Art, beads, bling, burning man, Christmas, coachella, cruise, fantasy, fashion, festivals, glastonbury, holiday, ibiza, party, Punk, Retro, Sequins, shimmer, shine, summer, trends, usa, v festival, world.